Asthma is a chronic disease marked by inflammation and narrowing of the airways of the lungs, resulting in the symptoms of wheezing, chest tightness, shortness of breath and coughing. The effects of asthma can range from mild discomfort, to severe difficulty breathing, to death from respiratory failure in extreme cases. More than 20 million Americans have asthma, including more than 6 million children under 18. Asthma is one of the most common chronic illnesses and one with a serious public health impact. 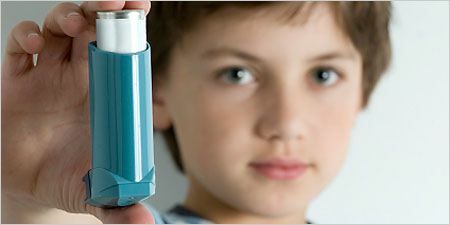 There has been a dramatic increase in asthma cases in both children and adults over the last 30 to 40 years. While the exact cause is unknown, many doctors believe the increase is due to environmental factors. Most asthma is classified as allergic asthma caused by the body's exaggerated response to contact with certain common substances, known collectively as allergens. For those with allergic asthma, contact with an allergen can cause an ''allergic cascade,'' a chain reaction of events at the cellular level that results in inflammation and constriction in the airways. 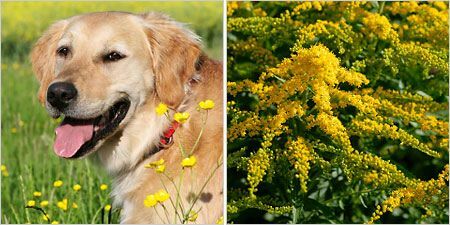 The process begins when the allergens, which are seen by the immune system as foreign invaders, are inhaled and attach to the mucous membranes. The immune system sends a message to certain cells in the body that produce antibodies specific to the allergen. When the individual is re-exposed to the allergen in sufficient quantity, it will cause the release of excess antibodies, and the allergen then triggers the release of chemicals that cause inflammation and constriction of the airways, resulting in an asthma attack. Non-allergic or intrinsic asthma is not related to the immune system or allergic asthma although it presents with similar symptoms, (tightness of the chest, coughing, wheezing, breathing difficulty). The most common triggers of non-allergic asthma are stress, anxiety, cold or dry air, exercise, smoke, viruses, hyperventilation, and other irritants. Most symptoms can be reversed with proper treatment. An allergen is a substance that causes an allergic reaction in the body due to sensitivity. Allergens exist both indoors and outdoors and are prevalent both at home, school and in the workplace and can be difficult to avoid. 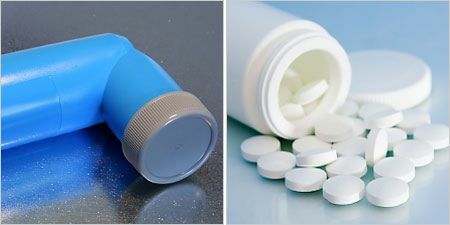 In some rarer cases, asthma can be aggravated by sensitivities to aspirin or other nonsteroidal anti-inflammatory drugs, sulfites and beta-blockers. What Factors Increase My Risk of Getting Asthma? A risk factor is a characteristic that increases the likelihood of getting a disease. It does notmean an individual will get the disease if they have one or more risk factor. While the exact cause of asthma is not yet known, certain factors make it more likely a person will develop the disease. Family History: It is believed that asthma is an inherited disease. If an immediate blood family member has asthma, another member may not necessarily get the disease, but their odds are increased. 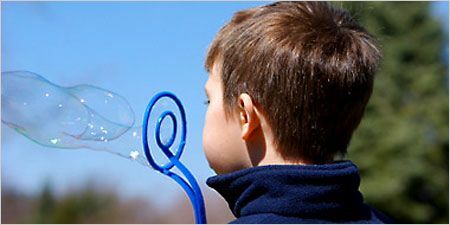 Age: Over half of all asthma cases occur in children from ages 2 to 17. While anyone can get asthma at any time in life, young people seem to be more vulnerable to it, particularly young boys. 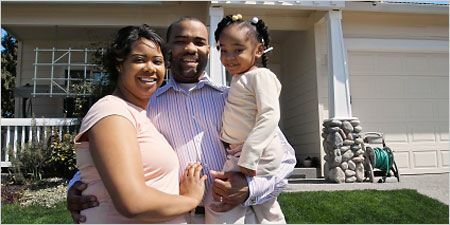 Ethnic background: People of African-American and Hispanic backgrounds contract asthma more frequently than Caucasians. Environment: Where a person lives, works or goes to school can have an enormous effect on their asthma. To manage asthma most effectively, “allergy proof” your home, work and school environment. 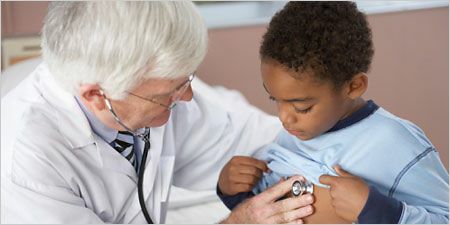 Medical Conditions: Certain medical conditions including low birth weight, obesity, congestive heart failure, gastroesophageal reflux disease and a history of respiratory infections during childhood can increase the risk of asthma. There is no single or definitive test for asthma. The disease is diagnosed based on a pattern of indicators identified through a physical exam, which include the familiar symptoms of asthma plus clues such as abnormalities of the chest, increased nasal secretions and swelling of the mucous membranes; a medical history to identify a family history of asthma or other circumstances that might be exposing you to likely allergens; measurements of pulmonary function; and the exclusion of other causes. Relief of airflow limitation by the use of an inhaled beta2-agonist Finally, you may undergo pulmonary function testing (spirometry), which measures the volume of air that can be forcibly exhaled after a deep breath (the point of maximal inhalation). Severe persistent: Marked by continual symptoms, limited physical activity, frequent asthma attacks, frequent nighttime symptoms and peak expiratory flow (PEF) less than 60 percent of normal. Moderate persistent: Daily symptoms and daily use of inhaler; asthma attacks more than twice a week that affect activity; nighttime symptoms that occur more than once per week; PEF less than 80 percent of predicted. Mild persistent: Symptoms occur more than twice a week but not more than once per day; asthma attacks affect activity; nighttime symptoms fewer than twice a month; PEF reduced but greater than 80 percent of predicted. Mild intermittent: Symptoms no more than twice per week; normal airflow between episodes; short-term asthma attacks (a few hours to a few days); PEF reduced but greater than 80 percent of predicted. This classification aids doctors in determining a treatment plan that is correct for each individual patient. It also enables the patient to keep a measurable record that will demonstrate the effectiveness of a treatment plan over time. Which Medications Are Used for Short-Term Asthma Control? Asthma medications can often prevent and manage symptoms, reduce the frequency and severity of asthma attacks, and reduce inflammation to open the airways when an attack occurs. These medications are categorized as quick-relief or long-term. Short-acting beta2-agonists: These inhaled bronchodilators are used to relieve acute symptoms of bronchoconstriction and exercise-induced asthma. They’re the most effective treatment for acute broncho-constriction, but daily use is not recommended. These include Proventil and Ventolin (albuterol), Tornalate (bitolterol), Maxair (pirbuterol) and Brethaire (terbutaline). Anti-cholinergics: Used as an alternative or supplement to beta2-agonists, inhaled anticholinergics relax the airway muscles. The only drug in this class is Atrovent (ipratropium bromide). Combination: Combivent combines albuterol and Atrovent in one medication. What Medications Are Used for Long-Term Asthma Control? Corticosteroids: The most potent and effective of the anti-inflammatory medications, they suppress the release of the mediators that cause inflammation of the airways. Inhaled corticosteroids include AeroBid (flunisolide), Flovent (fluticasone propionate), Pulmicort (budesonide), Azmacort (triamcinolone acetonide) and ciclesonide (Alvesco). Oral corticosteroids include Deltasone (prednisone), Prelone, Orapred (prednisolone) and Medrol (methylprednisolone). Intal (Cromolyn sodium) and Tilade (nedocromil): Anti-inflammatory medications for mild-to-moderate asthma, these are often prescribed for newly diagnosed patients and may also be used as a preventive treatment. Symbicort and Advair: These drugs combine a steroid and a long-acting beta2-agonist to reduce both inflammation and bronchoconstriction. Advair combines a corticosteroid (fluticasone propionate) and a long-acting beta2-agonist (salmeterol). Symbicort combines the corticosteroid budesonide with the long-acting beta2-agonist formoterol. Methylxanthines: These are sustained-release bronchodilators used for control of symptoms overnight in mild-to-moderate asthma patients. They are taken orally as capsules or tablets and are often used as an added therapy with corticosteroids. The most common methylxanthines are Slo-bid and Theo-Dur (theophylline). Leukotriene modifiers: These medications inhibit the action of certain inflammatory substances that trigger asthma symptoms. They are an alternative or supplement to low-dose corticosteroid medications for patients 12 and older. Taken orally, they include Singulair (montelukast), Accolate (zafirlukast), Leutrol and Zyflo (zileuton). Xolair (omalizumab): This drug is in a new class of medication that prevents the release of chemicals that result in inflammation and asthma symptoms. It is indicated for patients 12 and over with moderate to severe persistent asthma who have positive allergy tests and whose symptoms are not controlled with inhaled corticosteroids. Xolair is given as a shot at the doctor’s office every two to four weeks and recommended when other treatments have been ineffective. How Do I Reduce the Risk of an Asthma Attack? One of the best ways to manage asthma is to understand and remove the disease triggers. While it may be impossible to remove all triggers in your environment, the list below will give you tips to help prevent asthma attacks. Animal dander: Remove animals from the home or at least restrict them from the bedroom of the person with asthma. Cover or filter air ducts to the bedroom. Use an electrostatic or HEPA (High Efficiency Particulate Air) filter to help remove pet dander from the air. House-dust mites: Cover mattresses and pillowcases in allergen-impermeable covers, and wash sheets and blankets each week in water of more than 130 degrees Fahrenheit to kill the mites. Remove carpeting, especially from concrete floors, and avoid upholstered furniture that could harbor mites. Reduce indoor humidity to less than 50 percent to eliminate the mite habitat. Cockroaches: Use poison bait or traps to eliminate roaches. Do not leave food or garbage exposed. Clean up after meals and snacks Indoor mold: Repair all leaks to prevent damp areas, clean mold from surfaces and reduce humidity to 50 percent using a dehumidifier. Outdoor allergens: Stay indoors with windows closed during peak pollen and spore periods and when smog levels are high. Use air conditioning and a dehumidifier to help clean, cool and dry the air to minimize allergens. Smoke and other irritants: Avoid contact with cigarette smoke and prohibit smoking in the house. Curtail contact with other sources of smoke, such as wood-burning stoves. Avoid contact with perfumes, cleaning product fumes and other chemical irritants. Workplace irritants: Request workspace away from irritants, such as a private office. Work with co-workers and human resources to create allergy/asthma friendly policies. Other tips: Exercise regularly, eat a well-balanced diet and avoid food allergy triggers. Maintain a regular sleep schedule. Keep an allergen/asthma diary that can help narrow down triggers and keep a record of attacks and treatments. Where Can I Get Information on Living Well with Asthma?